Please click on Mobile Timetable link to see full details. Closed from 5.15pm Tuesday 23rd December until 9.30am on Tuesday 30th December 2014. Closed from 5.15pm Wednesday 31st December until 9.30am Friday 2nd January 2015. Closed from 5pm Tuesday 23rd December until 9.30am on Tuesday 30th December 2014. Closed from 5pm Wednesday 31st December until 9.30am Friday 2nd January 2015. Closed from 5.15pm Tuesday 23rd December until 12 noon on Tuesday 30th December 2014. Closed from 5pm Tuesday 23rd December until 3pm on Tuesday 30th December 2014. Closed from 7pm Wednesday 31st December until 1pm Friday 2nd January 2015. Christmas Storytelling & Face Painting! 11am on December 23rd at Sligo Central Library. Watch new & interesting documentaries across diverse subjects in Ballymote Community Library. We meet every Thursday 5 - 7pm & welcome new members! 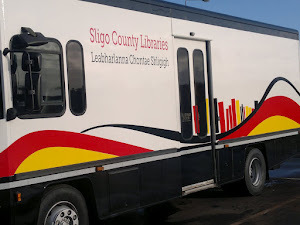 Welcome to SLIGO COUNTY LIBRARIES Blogsite. Here you can keep up to date with all the latest news on what's happening at our various library branches around the County. Please feel free to add your suggestions and opinions on how we can further improve our service to the public by posting a comment beneath any of the articles below. Thank you. Please click on image above for more details! Our Mission Statement is to provide a responsive, accessible and inclusive library service for all our customers, which fosters reading, stimulates the imagination and contributes to lifelong learning and cultural recreation. 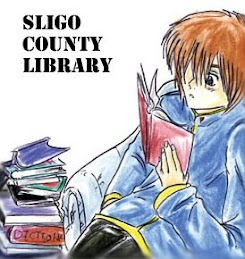 Sligo Library Service has a total membership of over 15,000 and a book stock of almost 100,000. The library maintains a comprehensive adult and juvenile lending service containing books, periodicals, audio material, CD-ROMs, videos and DVDs, fiction and non-fiction. Among the other services offered are Internet & WiFi facilities, Primary School Exchange Service, Mobile Library Service, Daily & local weekly Newspapers. It also acts as a focal point for community activity in the areas of culture, heritage and education, through the use of exhibitions, activities and cultural events. Membership of the library is free of charge.